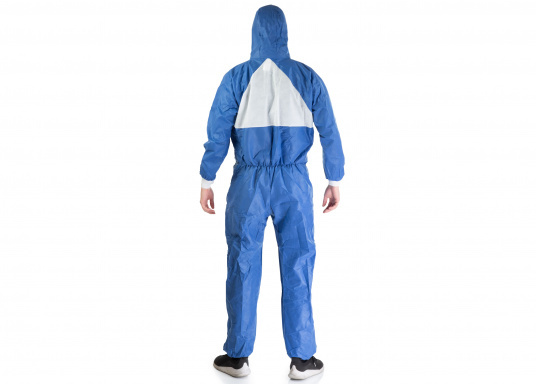 Lightweight, extremely breathable and comfortable protective overall for various jobs, such as surface treatment, handling chemicals, industrial cleaning and maintenance, as well as fitting insulation materials. 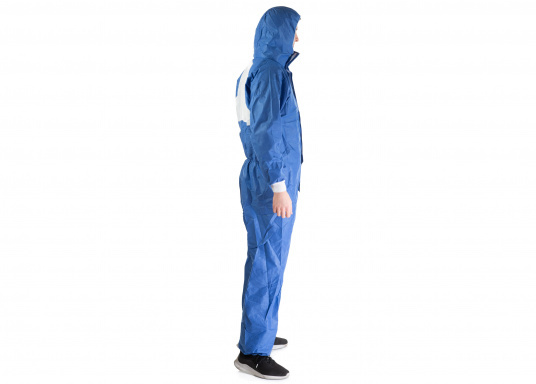 This lightweight and extremely breathable protective overall is suitable for various tasks, such as surface treatment, handling light chemicals, industrial cleaning and maintenance, as well as fitting insulation materials. The overall is designed to give maximum freedom of movement thanks to its generous size. It meets the requirements of EN 533 Index 1/O for flame protection and protects against light chemical splashes. 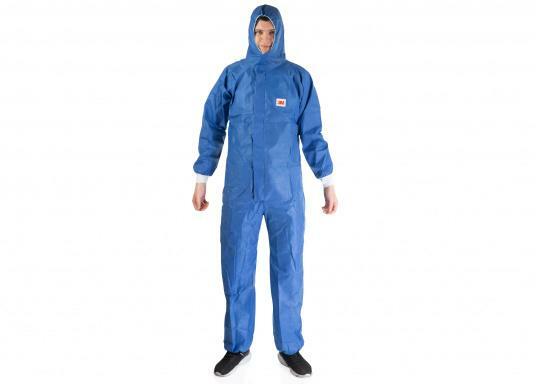 The suit can be worn over your fireproof clothing as a first flame protection layer, e.g. for welding work. Available in different sizes. Handige en sterke overall. Beschermt prima. Der Anzug hat mich geschützt. Schade das der Reißverschluss immer wieder oben auf geht. Utilisé hier avant phase de plastification. s'enfile assez bien. Aisance convient.